Large Rectangle STUDENT COUNCIL Button Badges printed in Yellow with a Black background. Bulk lot of 10 badges only £0.50 each. 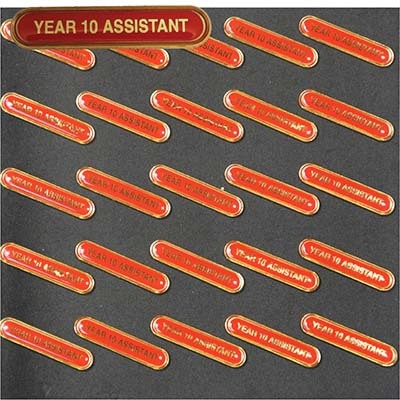 Red Year 10 Assistant Bar Badges. Bulk lot of 25 badges only £1.00 each. 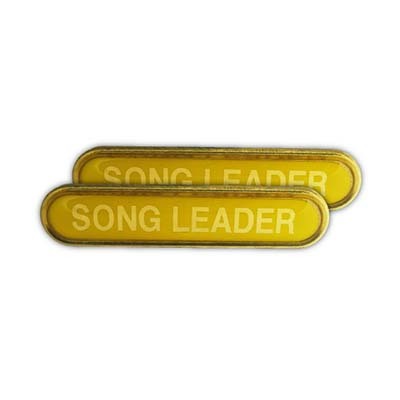 Yellow Bar badges, Song Leader. Bulk lot of 15 badges only £1.00 each. 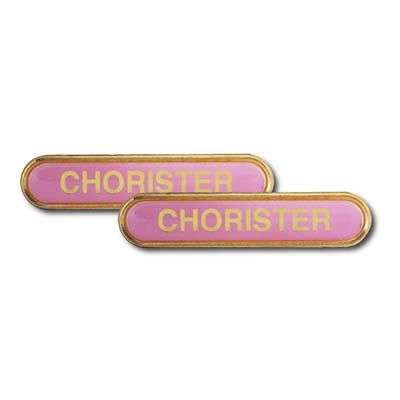 Pink Bar Chorister Badges. Bulk lot of 15 badges only £1.00 each. Black Senior Librarian Badges printed in GOLD. Bulk lot of 30 badges only £1.00 each. 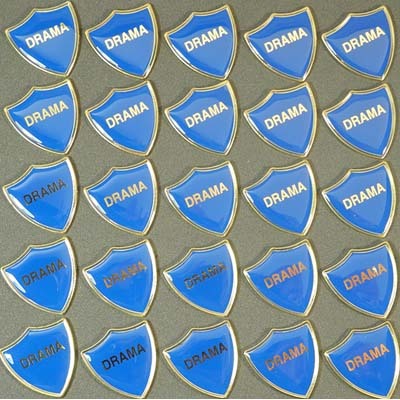 Blue Drama Shield Badges printed in GOLD. Bulk lot of 25 badges only £1.00 each. 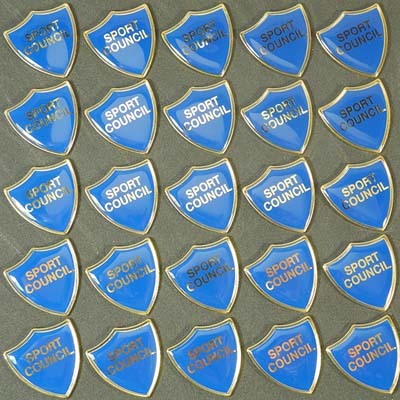 Blue Sport Council Shield Badges printed in GOLD. Bulk lot of 25 badges only £1.00 each. 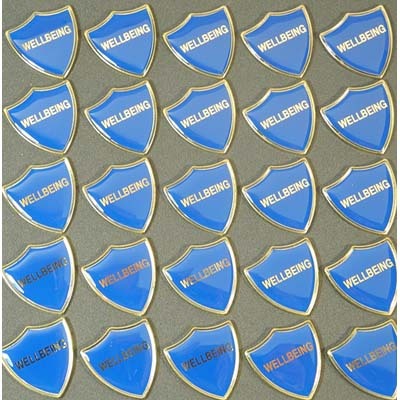 Blue Wellbeing Shield Badges printed in GOLD. Bulk lot of 25 badges only £1.00 each. 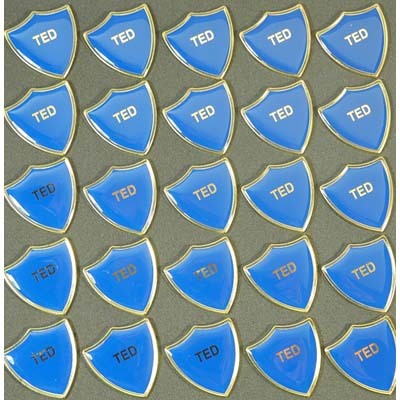 TED Blue Shield Badges printed in GOLD. Bulk lot of 25 badges only £1.00 each. 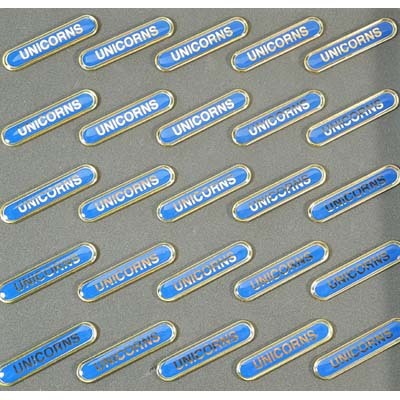 UNICORNS Blue Bar Badges printed in GOLD. Bulk lot of 40 badges only £1.00 each. 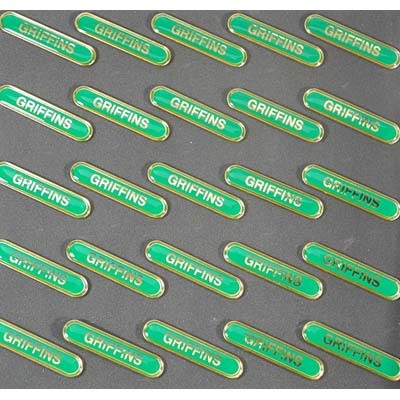 Green GRIFFINS Bar Badges printed in GOLD. Bulk lot of 40 badges only £1.00 each. 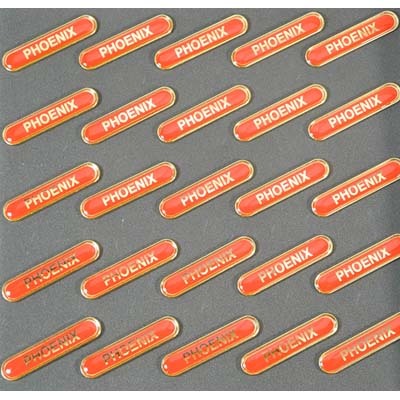 PHOENIX Red Bar Badges printed in GOLD. Bulk lot of 40 badges only £1.00 each. 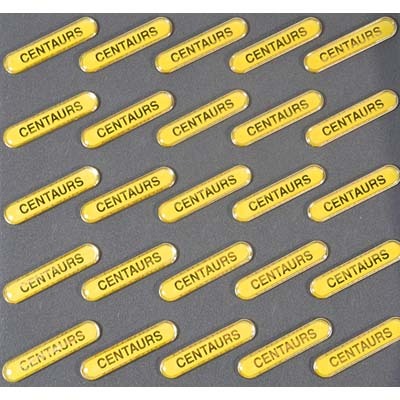 CENTAURS Yellow Bar Badges printed in GOLD. Bulk lot of 40 badges only £1.00 each. 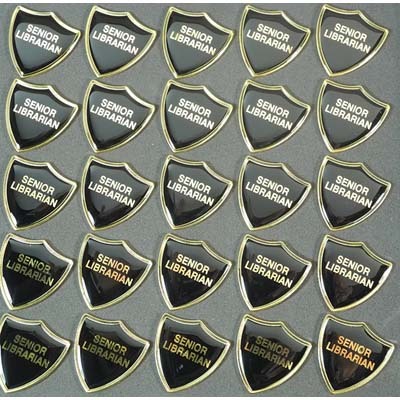 Pink SENIOR LEADER Shield Badges printed in GOLD. Bulk lot of 60 badges only £1.00 each. 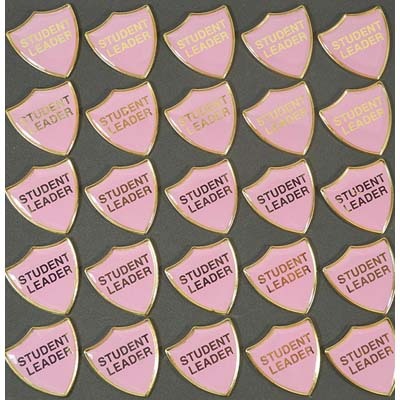 Large Rectangle STUDENT LEADER Button Badges printed in Black with a White background. Bulk lot of 10 badges only £0.50 each. 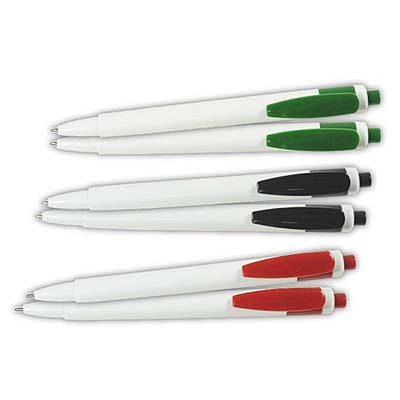 Retractable White Ball Pen with coloured trim. Available Printed or Un-Printed. Minimum Quantity 100. 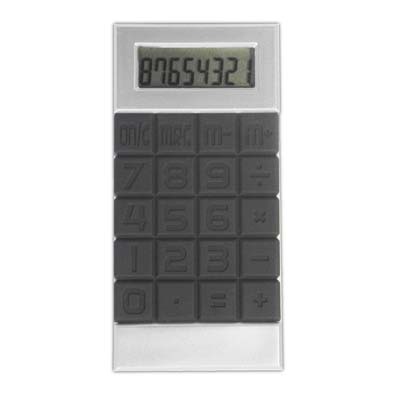 A compact, slim, rubberised calculator with a soft touch rubber center keypad which fits smoothly in the hand. 8 digit 6 function calculator. 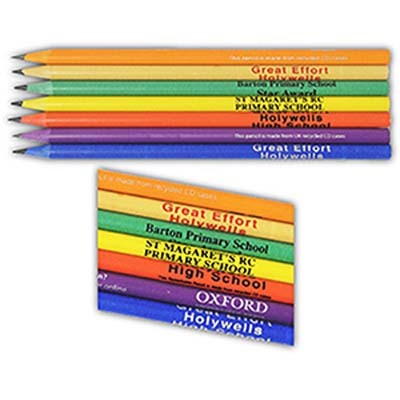 UNPrinted, available printed in one colour of your choice (we recommend Black print with the calculator) for an extra 20p each. Size 103mm x 50mm x 12mm. 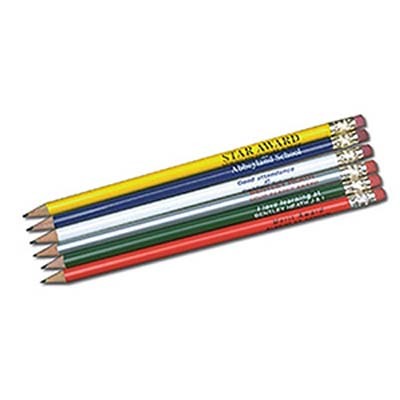 Bulk Quantity 50 ONLY. 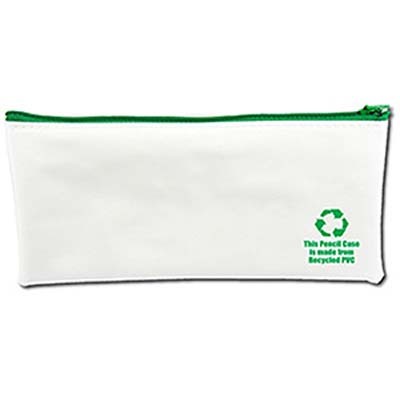 A GREEN school bag featuring a detachable shoulder strap, integral sewn-in zip purse and Velcro detachable pencil case. 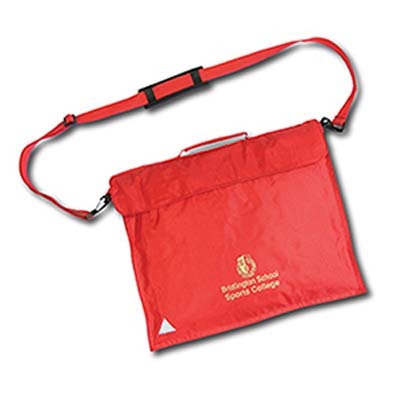 High Visibility reflective patch and name card holder. Printed in either Gold or Silver. 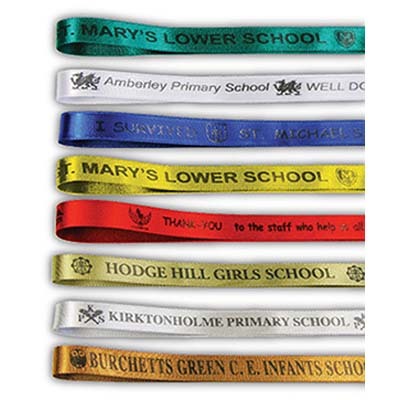 Satin Ribbon printed with your school name, message or motto etc.Printed one side only. 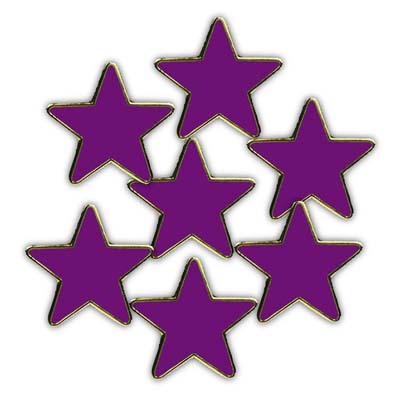 Print Size: 100mm x 10mm repeated over ribbon length. 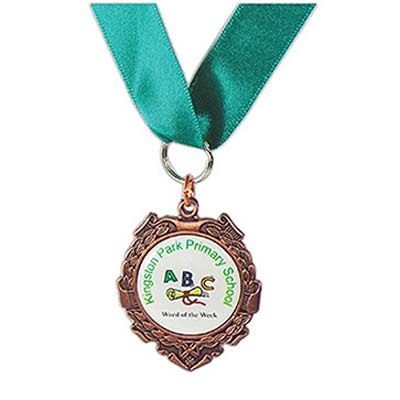 Printing in Black as standard except for White Ribbon printed in Black, Green, Blue, Purple Yellow, Gold, Silver, Bronze or Red. Only �£0.78 per Meter. A MAROON school bag featuring a detachable shoulder strap, integral sewn-in zip purse and Velcro detachable pencil case. High Visibility reflective patch and name card holder. Printed in either Gold or Silver. 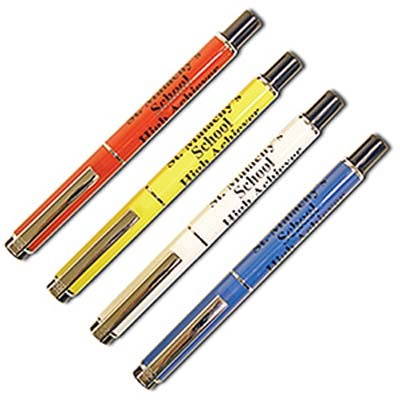 Traditional in style, beautiful to write with at a fraction of the cost of a branded pen but featuring all the same qualities. Limited Quantities Available. Minimum Quantity only 50.